abex, Author at ABEX Affiliated Brokers Exchange Inc.
ABEX hosted our first ever “Meet the Underwriter” open house in Kitchener on December 11th. We talked about the idea of having an open house in great detail in November, and were considering whether holiday season would be a good time of year to host the event. We were also considering leaving it for January, when people are potentially more available, but then the weather is even less predictable than in December. In the end, we decided that Decembers was going to be it and we are very excited that it turned out to be a very successful event. The function was a great opportunity for meeting with our brokers face to face and for sharing ideas. We all enjoyed talking with our brokers and look forward to continuing our successful collaboration in the future. As a result of the idea sharing at the event, we are now considering doing a couple of more open houses in the future and taking them to other areas where we serve, including Toronto, London and Kingston. Even better, we are planning to develop a RIBO accredited presentation, that we could take on the road with us and share with our brokers. 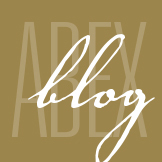 Stay tuned for these and more exciting things to come from ABEX in 2013.